NasalGuard topical gel will protect you from harmful particles including contaminated air, virus-sized particles, mold, pollen, dust mites, and pet dander. I want to start off by saying that my family gets a flu shot every year and will continue to do so before each flu season. Our doctors say it’s the best protection against the flu and, as parents to young children, I do not want to risk not getting the flu shot. That said, this flu season has been ROUGH on our family. We’ve dealt with Flu B not once, but TWICE, within a two month period and at one point more than half of my older daughter’s second grade class was out with the flu. Taking care of kiddos (and a hubby) while I also had the flu was extremely unpleasant and I found myself wandering up and down the pharmacy isle for something that could help combat the flu when the flu vaccine isn’t effective against certain strains. That is when I learned about NasalGuard(R) Airborne Particle Blocker and my poor, raw nose has thanked me for it. With cold and flu season in full swing and with experts predicting just 10% effectiveness of the flu vaccine this year, taking additional preventative measures for you and your kids is more important than ever! Try as you might to keep your homes clean and free of potential irritants, there’s no way of knowing which harmful airborne particles your children will come in contact with at daycare, on the school bus, or at their friends’ homes until they’re struck by the sneezing, coughing and itchy eyes every parent has come to dread. Millions of children get sick with the flu and cold each year. One reason for this is because there are millions of harmful airborne particles circulating in crowded, congested spaces, including virus-sized particles and allergens that are hard to escape. Adding NasalGuard to your family’s daily routine provides you with an added line of invisible, drug-free defense against airborne contaminants, helping to protect your health all cold and flu season long. Just a drop or two of the gel reduces inhalation of invisible airborne particles such as virus-sized particles, pet dander, dust mites, mold, toxic fumes and other commonly found industrial pollutants. One tube of NasalGuard(R) Airborne Particle Blocker provides up to 150 applications, lasts up to six hours and is safe for the whole family! NasalGuard(R) Airborne Particle Blocker is an electrostatic gel that creates an invisible filter around the outside of your nose, thereby keeping airborne contaminants out of your system. Just a drop or two of the gel reduces inhalation of invisible airborne particles such as toxic fumes, micronized oil particles, mold, virus-sized particles, dust mites, pet dander and other commonly found industrial pollutants. One of the best parts about NasalGuard? It’s undetectable! The gel dries clear, can be applied over makeup, and lasts for up to 6 hours. 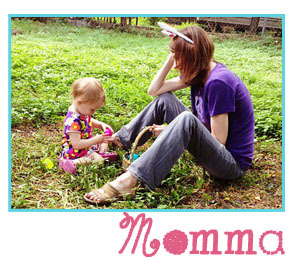 ← Awesome (Non-candy) Last-minute Easter Basket Gift Ideas!